The Division 2’s Private Beta is up and running now, and Ubisoft has already shipped the game’s first patch. While there really isn’t anything added in the patch, it’s great to see the team of developers for The Division 2 already making improvements ahead of launch. Note to PS4 players – while this patch is only 189mb, it might take longer than normal to install. You can download and install the patch right now and be ready for the servers coming online again. Fixed several sources of game server crashes that resulted in DELTA-3 error messages. Audio issues with NPCs in languages other than English have been fixed. PC and PS4 players will not crash upon launching the game when accepting a group invite outside of the game anymore. There are a few known errors with The Division 2 Private Beta as well. According to Ubisoft, the development team is aware of game crashing issues on PC and Xbox One after extended gameplay sessions. PS4 gamers might experience a performance degredation after three hours of play as well. The team says to restart your game every few hours to avoid these issues. Another known bug that causes the game to crash involves sending game invites, which has been fixed for PS4 and PC. Make sure you have launched The Division 2 on Xbox One before joining a group to avoid issues. The Division 2 Private Beta runs from now until February 10. Pre-ordering a copy of The Division 2 grants beta access, and those with access can invite up to three friends to join in the fun. If you do invite any friends, there are a few things to keep in mind. Those invited by friends do not have the ability to invite more friends. Players can only invite friends on the same platform, so if you’re playing on Xbox One, you can’t send an invite to someone with a PS4. Invites also expire after 48 hours, but at this point, that’s pretty much the rest of the beta. So what do you think? 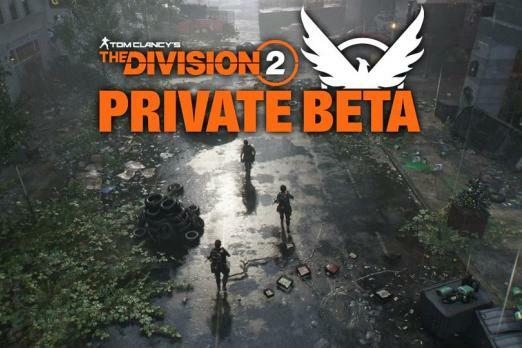 Do you have access to The Division 2’s Private Beta? What do you think of it so far? Let us know your thoughts in the comments section below.